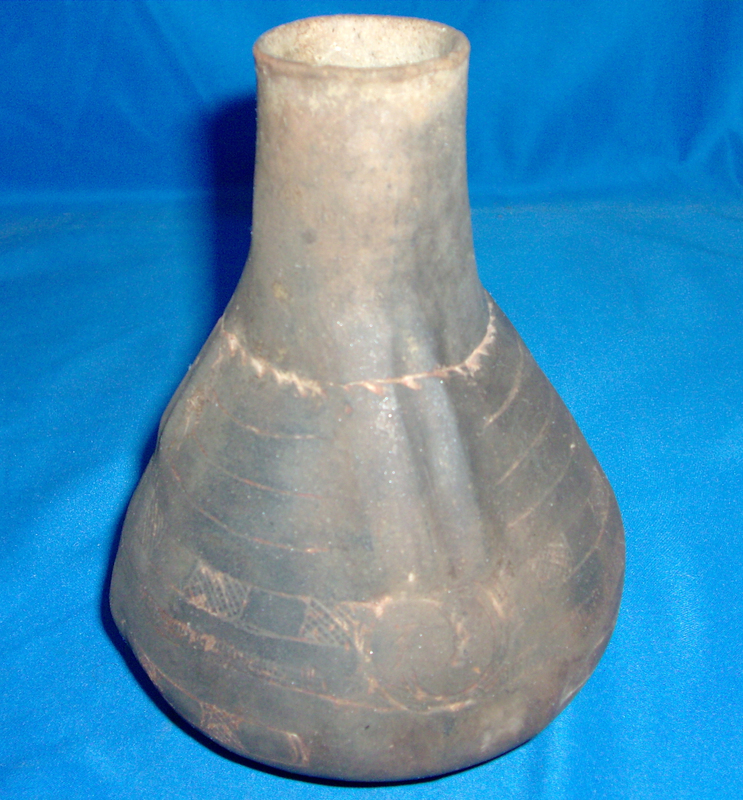 A Medium To Large Size, Very Well Made,Caddo Friendship Engraved Waterbottle That Exhibits Clay Coloration Aging And Surface Sheen Patination, Correct Type Of Engraving, Aged Soil Deposits In The Engraved Lines, Visible Bottom Aged Use Wear, Correct Neck Handle Wear, Aged Surface Shell Grog Deterioration, Correct Material And Manufacture For The Area Found. Ex-Samuel D. Dickinson ( V-256 ) Scott Davidson & Jack Bonds Collections. This Is An Early Friendship Waterbottle, Being Solid With One small Probe Hole And A Trowel Mark. Includes A Ken Partain Certificate Of Authenticity!